Unai Emery hopes he does not receive further punishment for an incident during Arsenal‘s 1-1 draw with Brighton on Boxing Day. The Spaniard booted a bottle that struck a Seagulls fan and immediately apologised for his actions. The FA are believed to be investigating the matter, but Emery hopes the apology will suffice. “I hope not. It’s not to do with the action but the circumstance. i hope the apology is the end to the matter,” said the Arsenal manager in his pre-match press conference before Sunday’s meeting with Liverpool. “I kicked it for me and it went near the supporters. I said my apologies. I repeat my apologies again. 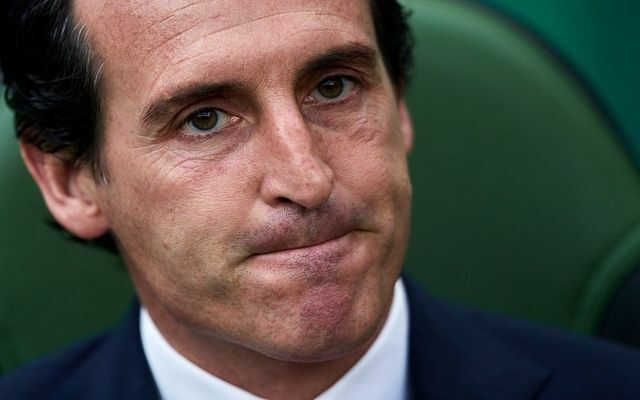 Be the first to comment on "Arsenal boss Unai Emery apologize to fans after latest setback"